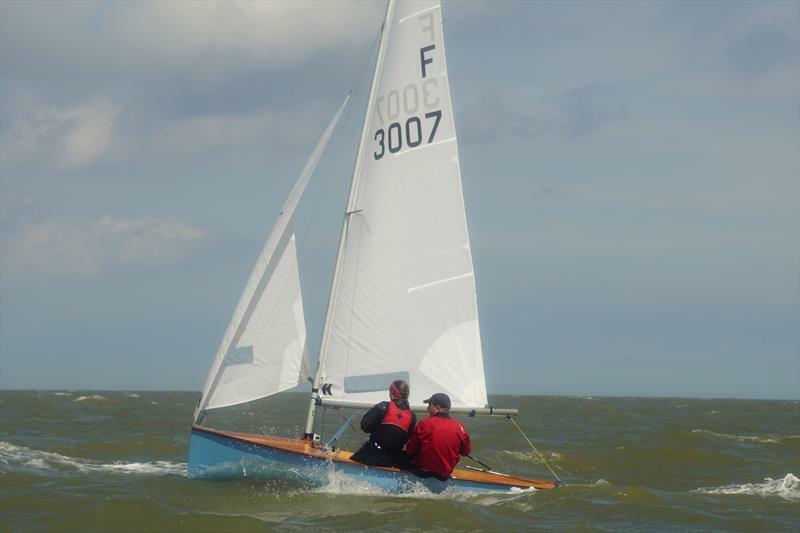 After Saturday’s practice race sailed in a shifty force 3 breeze, competitors at the GJW Direct Firefly National Championship hosted by Felixstowe Ferry Sailing Club spent Sunday morning waiting for the breeze to appear. Eventually it did, and the fleet set out at 3pm for two races for the City of Plymouth and Sussex Silver Firefly trophies, respectively. The wind stayed light throughout and it was Nigel Wakefield and Emily Saunderson sailing the beautifully restored Tip Top Too who mastered the conditions the best to record two race wins. They were followed home in race 1 by Bloody Mary winner, Alex Davey, sailing with Sally Wilson in Mustard, and it was Guy Davison and Sally Wakefield in Lynestra that rounded out the top 3, taking advantage of a navigational error by early front-runners Ed and Sophie Smith and Chris Kameen and Matt Read. Chris and Matt had found their bearings by race 2 to record a second place, ahead of Alex and Sally. Jason and Toby Aldous from Papercourt SC sailing in their first Firefly event showed the old hands how it should be done by finishing fourth. Only one race was scheduled for Monday and once again it was light winds that greeted the sailors as they went afloat for the extremely sociable 1.30pm start. With a strong flood tide running at 90 degrees to the wind there were limited tactical opportunities and it was early leaders, Alex Davey, today sailing with son, Thomas, that took an early lead and stretched out to win comfortably. Behind them the racing was closer, with second place going to Guy Davison and Sally Wakefield just about managing to hold off Chris Kameen and Matt Read. Nigel Wakefield and Emily Saunderson could only manage fourth, ahead of Ed and Sophie Smith and Jenny Smallwood and Philip Aldous. With just one light wind race, crews had plenty of energy left over for Monday night’s Crews’ Union activities. Details for many remain hazy, so perhaps it’s just as well that Tuesday’s racing is currently postponed as the fleet waits for the forecast force 2 later this afternoon. Overall, Nigel Wakefield and Emily Saunderson are tied for first place on 6 points with Alex Davey. Guy Davison and Sally Wakefield and Chris Kameen and Matt Read are five points adrift on 11, but with a discard taking effect after four races, things are likely to change a little over the remainder of the week. 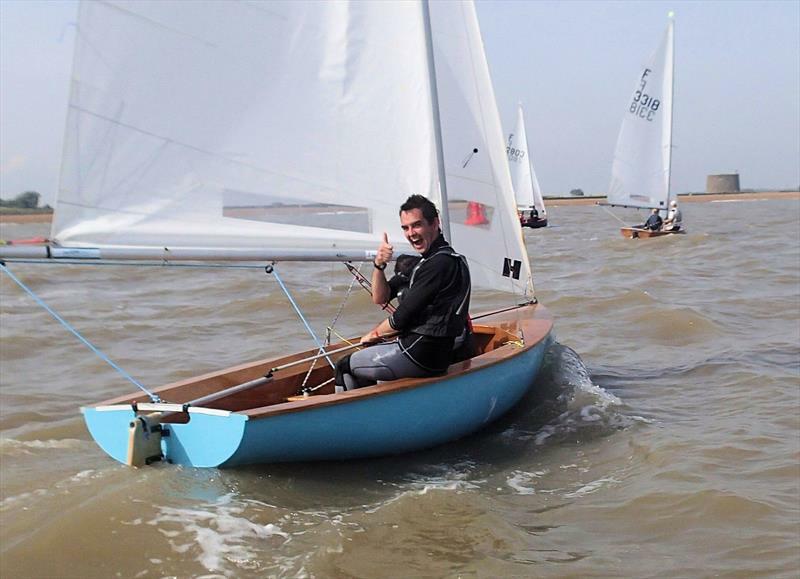 Day 4 of the GJW Direct Firefly National Championships at Felixstowe Ferry Sailing Club followed a familiar pattern – a short delay to wait for the wind and then tight racing in a light breeze and a strong tide. Nigel Wakefield and Emily Saunderson and Alex Davey and Sally Wilson were tied at the top of the leaderboard at the end of Day 3, but with Alex unable to sail on Day 4 it was a chance for Nigel and Emily to establish a points gap on their co-leaders. Chris Kameen and Matt Read led at the top of the first beat, but they were overhauled by Nigel Wakefield and Emily Saunderson on the first reach, and Nigel and Emily held the lead for the next lap and a half. Behind them, Guy Davison and Sally Wakefield and Jenny Smallwood and Philip Aldous battled with Chris and Matt, with Ed and Sophie Smith stretching away from the chasing pack to be the best of the rest. The five leading boats compressed at the end of the second lap as the rest of the fleet made slow progress towards the leeward mark against the tide, and it was Jenny and Philip that sneaked around first to start what would be the final leg of a shortened course. The final beat was full of holes and large shifts as some big clouds made their way over the racecourse. At the finish, it was Chris and Matt that had navigated the conditions the best and they emerged as winners, ahead of Nigel and Emily and Guy and Sally who recovered well from an unforced boat handling error at the previous windward mark. The scheduled crews’ race was postponed in the unstable wind conditions so the fleet returned ashore after one race for a more sedate evening’s entertainment compared with the previous evening’s crews’ union festivities. 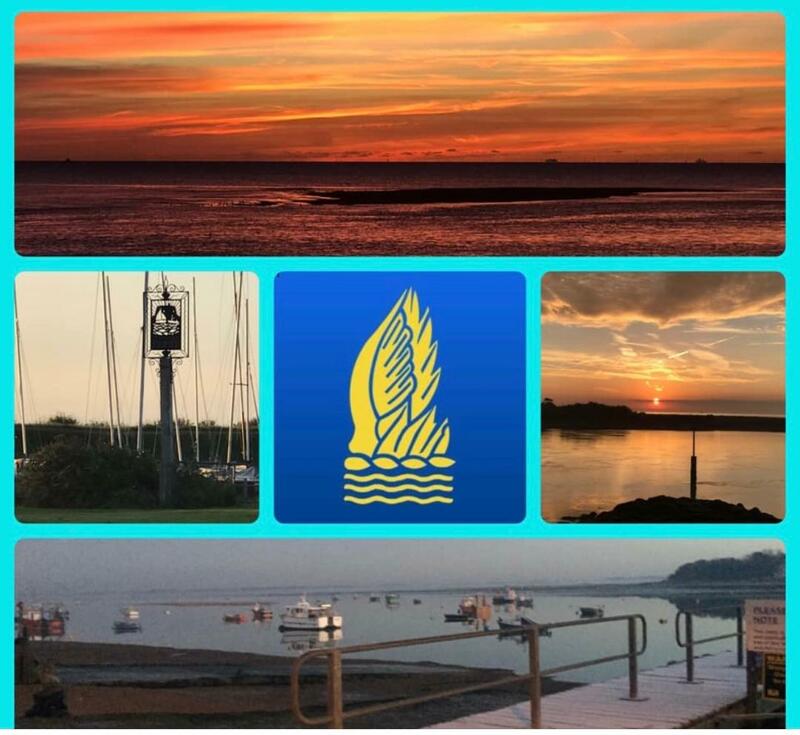 Wednesday sees the boats heading out for the Fireflys’ biggest race of the year, the Sir Ralph Gore Challenge Trophy. With conditions expected to be similar to the rest of the week, it could be a long day on the water. Wednesday of Firefly Week is traditionally the day the class sails the long distance race for the Sir Ralph Gore Challenge Trophy. Competed for by the top half of the fleet, the race is sailed over 4 laps of a triangular course totalling 14 miles. 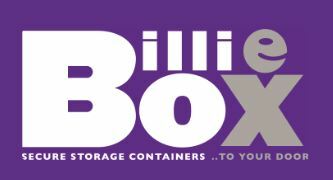 Once again, competitors arrived at Felixstowe Ferry Sailing Club to a very gentle breeze, but it built during the morning until by the midday start time there was a fairly steady 10-12 knots from the south. Chris Kameen and Matt Read sailing Biscuit Buffalo got off of the line well and led at the top mark ahead of Guy Davison and Sally Wakefield in Lynestra and Alex Davey and Sally Wilson in Mustard. Overall leaders, Nigel Wakefield and Emily Saunderson were some way back in around 8th place, but with over 2 hours of racing to go they had plenty of time to catch up. Guy Davison and Sally Wakefield took the lead on the first reach, their slight weight advantage helping them surf on the building waves. Alex Davey and Sally Wilson sailed into second place before hitting the gybe mark and dropping to third again. Their excitement on regaining second place on the second reach was, however, short-lived, since on arrival at the leeward mark they learned they had been OCS. Behind the front three (now two) Mike and Debs Steele, Dave Chisholm and Hayley Goacher and Barney Smith and James Shepherd were all having good races, and consistent performers, Jenny Smallwood and Philip Aldous and Ed and Sophie Smith were also in the mix. Nigel Wakefield and Emily Saunderson were making steady progress towards the front. 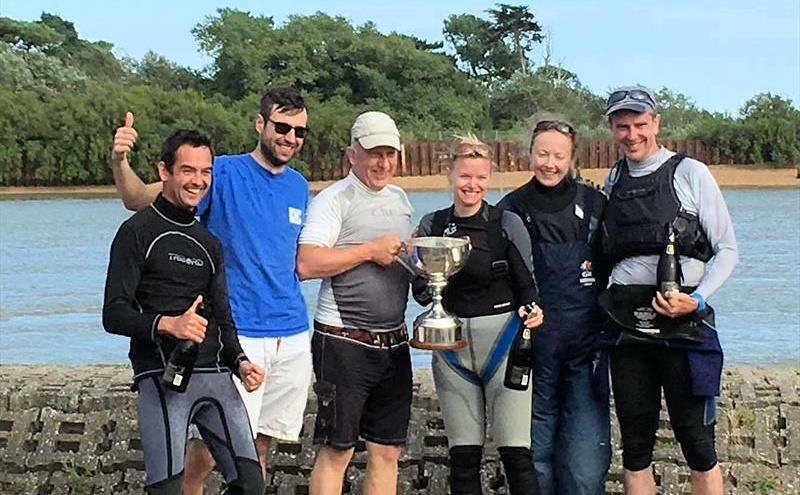 By the last lap, Jenny Smallwood and Philip Aldous and Barney Smith and James Shepherd had lost touch, and Dave Chisholm and Hayley Goacher’s challenge had ended with a capsize at the third gybe mark. At the final leeward mark, Guy Davison and Sally Wakefield had a comfortable lead over Chris Kameen and Matt Read, with Ed and Sophie Smith in third place, just sneaking inside Mike and Debs Steele who were, in turn, just ahead of Nigel Wakefield and Emily Saunderson. After about two hours and forty minutes of racing, Guy and Sally took the winner’s gun, a first Gore win for both of them and, in Guy’s case, a very welcome win after 45 years of trying. Chris and Matt held on for second and Nigel and Emily passed Mike and Debs and Ed and Sophie to take the final podium position. While the top half of the fleet race for the Gore trophy, the lower half of the fleet compete for the Marlow RopesTrophy. This used to be sailed over a shorter course, but since 2002 the results of the Gore / Marlow are included in the overall points series and therefore all boats race together on the same course. Hugo Burrows and Ben Nicoll from West Oxfordshire led for the first three and a half laps before being passed by clubmates, James Nicoll and Joe Scarborough, as well as Ben Green and Fi Edwards. Hugo and Ben fought back on the final beat, and looked to have the race won, but then misjudged the lay-line for the finish letting Ben and Fi through to take the trophy. James and Joe finished third, with only 11 seconds separating the top 3 after nearly three hours. In the overall standings after five races with three remaining, Nigel Wakefield and Emily Saunderson retain their top spot, but only by one point from Chris Kameen and Matt Read. Guy Davison and Sally Wakefield are one point further adrift in third, with a ten point gap back to Ed and Sophie Smith in fourth. Thursday is a key day with two races scheduled and with a fresher breeze forecast we should be in for some exciting racing. 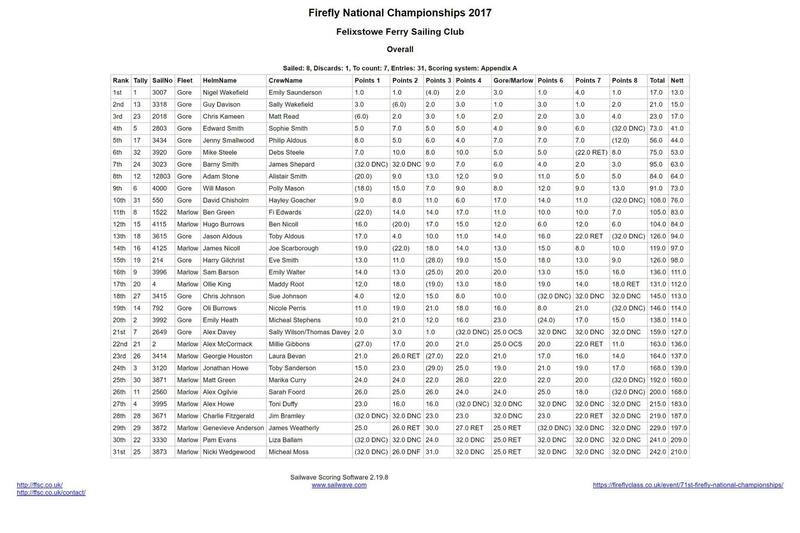 Friday’s final race at the GJW Direct Firefly National Championships hosted by Felixstowe Ferry Sailing Club would decide the overall champion for 2017 with three boats heading out to the start separated by only one point. 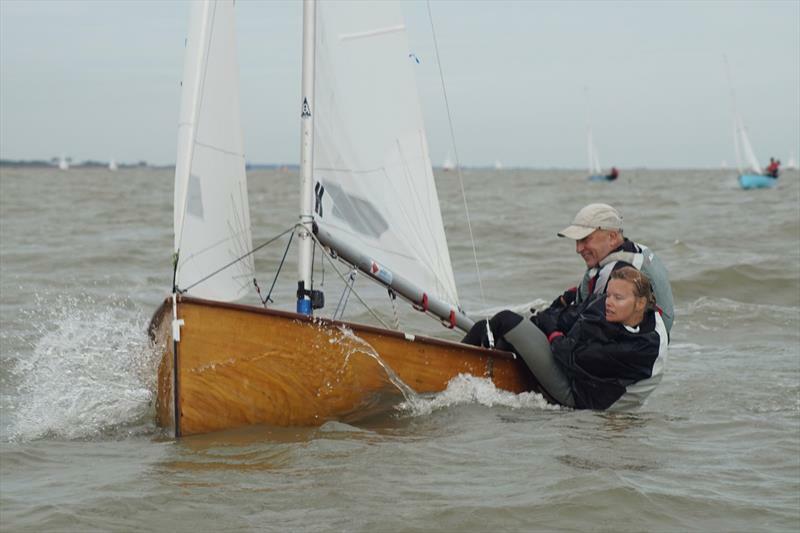 In the end, it was Nigel Wakefield and Emily Saunderson sailing the recently restored Tip Top Too, which previously won the championships in 1969 in the hands of Mimie Currey, that held their nerve to record their fourth race win of the week and to take the Sir Richard Fairey points trophy. Behind them, second place, and second place overall, was taken by Guy Davison and Sally Wakefield in Lynestra. Guy and Sally had a very consistent week, only once finishing outside of the top three and taking two race wins, including the coveted Sir Ralph Gore Challenge Trophy, in the process. Chris Kameen and Matt Read from West Kirby Sailing Club in Biscuit Buffalo took third overall following a fourth in the final race, and with Ed and Sophie Smith from Papercourt taking fourth overall the top four places were all taken by wooden boats, something that hasn’t happened for a number of years. Fifth overall, and winners of the Chris Lynham trophy for first under-21 and the Deben Ladies Plate for first female helm, were Jenny Smallwood and Philip Aldous from Manchester University. Hugo Burrows and Ben Nicoll from West Oxfordshire Sailing Club took the prize for first under-18s and Ben Green and Fi Edwards were the winners of the International Paints Trophy for winning the silver fleet and also won the prize, a new jib donated by Hyde Sails, for best improvers. Best overall club was the University of Birmingham. A Firefly championships is as much about what goes on off the water as what happens on the water and this year was no exception. 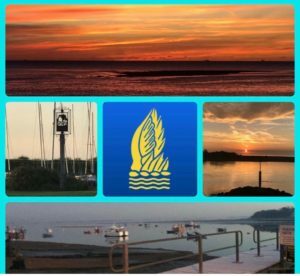 Felixstowe Ferry Sailing Club hosted some lively socials and it was just as well that many of the sailors were camping on the green just a stumble away from the clubhouse bar. 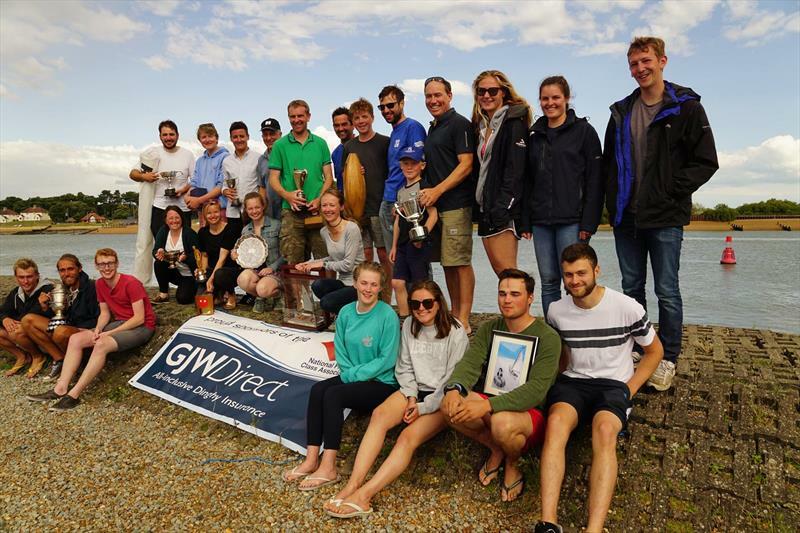 At the prizegiving, class chairman, Edward Smith, thanked GJW Direct for their generous sponsorship of the event and Felixstowe Ferry Sailing Club for being such welcoming hosts. He also thanked race officers, Peter White and Tim O’Leary, for their excellent course-setting and overall race management. Next year’s Firefly championships will be hosted by South Caernarvonshire Yacht Club in Abersoch and will be sailed between 28 July and 3 August 2018.